The Find Usages option in MPLAB X opens a dialog box for searching open or active projects for usages of classes, structures, variables, macros, functions, or files within the project's source code. 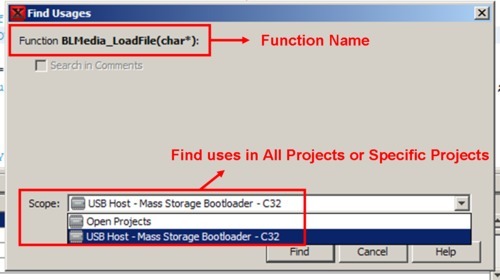 The results of the search displayed in the Usages Window permit fast navigation to key search points in the project source. Find Usages application and caveats are presented here. 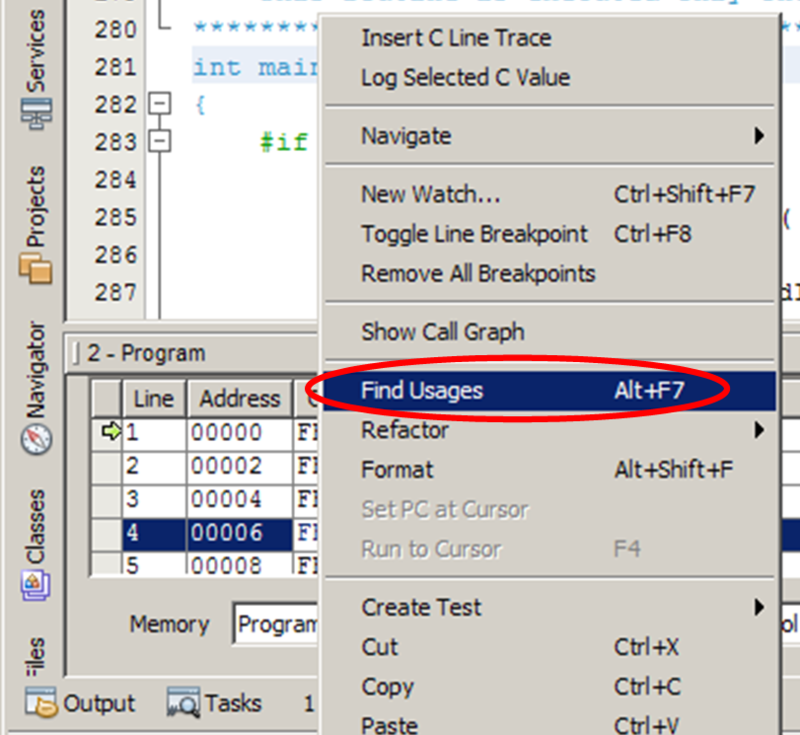 As shown in the above screenshots, ALT F7 can also be used to initiate Find Usages. Once Find Usages is selected for the appropriate portion of code (i.e. 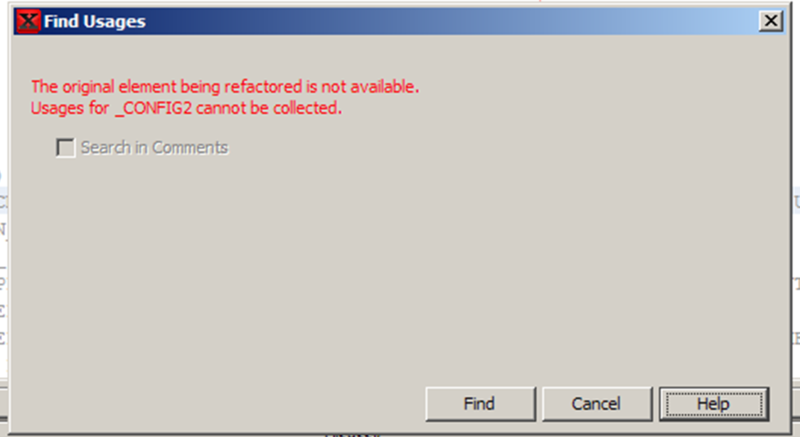 classes, structures, variables, macros, functions, or files), select the appropriate scope. The scope refers to whether a specific project is searched or all open projects. In the screenshot below the cursor is on a BLMedia_LoadFile() function call when Find Usages is invoked. 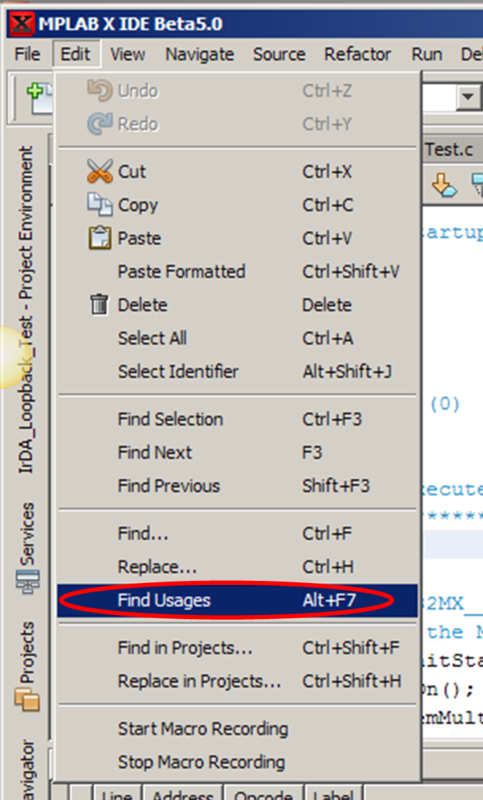 Click Find to run the utility and display the locations where the selection was used in the Usages Window. 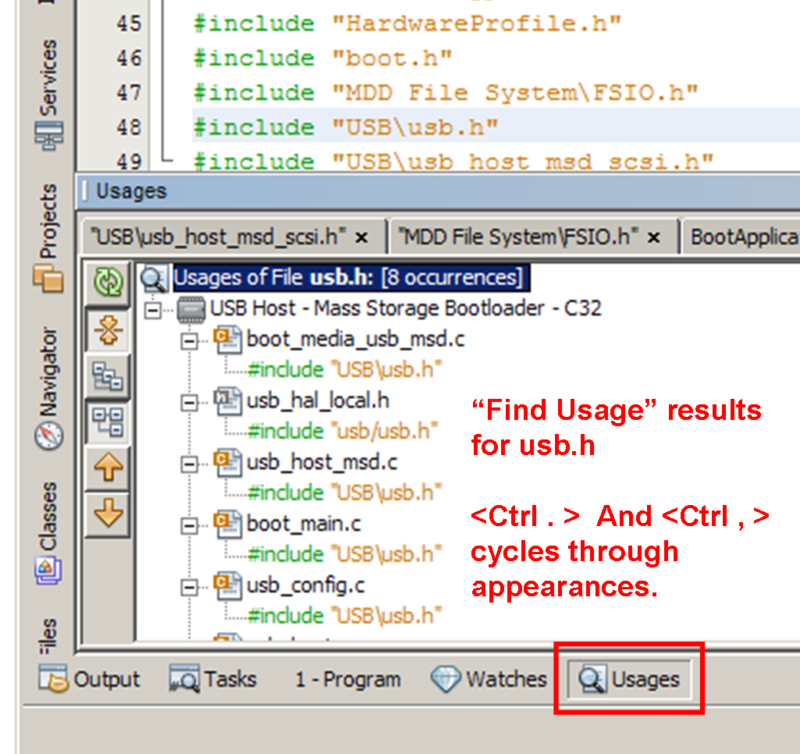 The buttons on the left hand side of the Usages Window have the following functionality. 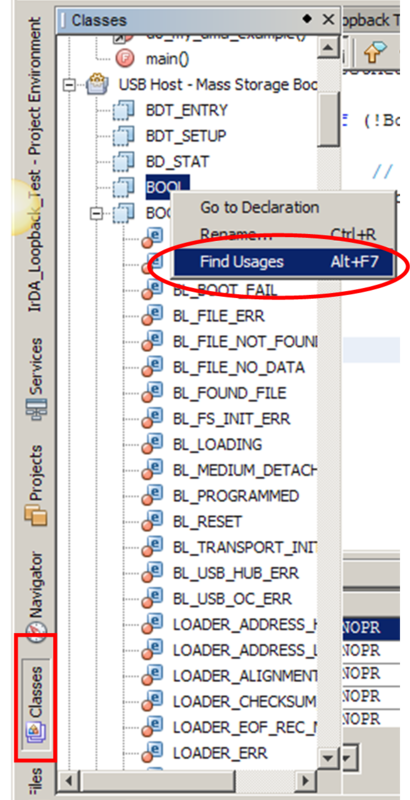 Refresh re-runs the Find Usages utility. Expand/Collapse Tree compresses/decompressed the +/- for each node of the results. Logical View organizes the results tree to match the logical project window organization. 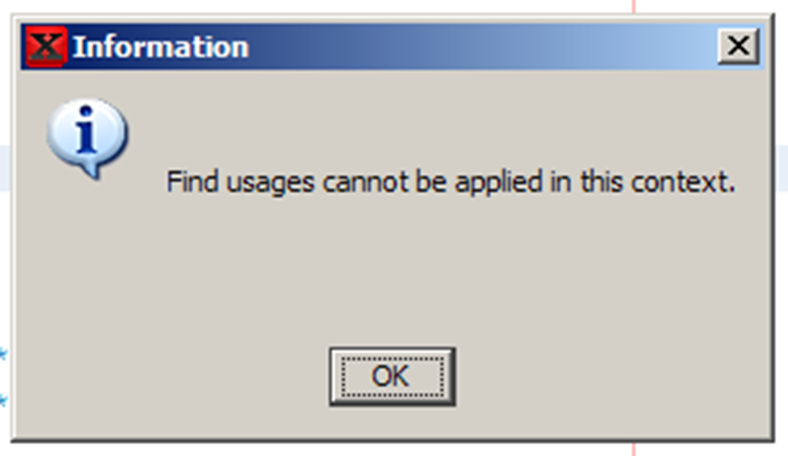 Previous/Next Occurrence moves through the find usages results in the source editor. At the top right of the Usages window to make browsing between instances simpler.